Who is more likely to become the next CEO in a company – the CFO, the COO or the CIO ? Well, ask the Linkedin crowd. There are now more than 200 Million Profiles on Linkedin and even most of the Senior Executives of the Fortune 500 companies have setup their profile. Now is the time to use the wisdom of the Linkedin crowd and start planning your career. No.3: 37 400 had the COO Role in the past. Well, guess what you might want to consider studying before going for your MBA or EMBA ? Lately there has been a lot of research on crowd wisdom or swarm intelligence. And it is a key source for great insights and forecasts. Just lately the swarm intelligence research of Peter Gloor MIT helped to predict correctly the outcome of the US presidential election in 2012. The Linkedin Crowd will also tell you what university or business school to choose if you aspire to be the next CIO, CFO or COO…. Linkedin Endorsements are one of a few key performance indicators about the attractiveness of your Linkedin Profile – your professional brand image. The number of endorsements per Skill & Expertise over time will indicate what your professional network recognizes or has recognized as one of your key professional skills and expertise. This is positive as long as the skills and expertise endorsed are the ones you want to be known for and are the ones you want to work with going forward. It might be less favourable in the cases when your key skill and expertise endorsed is in the professional area you actually want to leave behind, grow out of or if this competence has become a commodity in the job market. In these cases you have the option to hide the endorsements in your Linkedin Profile – you are not able to delete those. You can hide all the endorsement for one skill & expertise or selectively per person who endorsed you for it. What is shared on Twitter: tips & tricks to improve your job search, career development, linkedin profile and advice on recruiting and open positions (jobs). How Difficult Will It Be to Hire a Project Manager? – Jobs. Trends. Insight. LinkedIn best practice tips: to connect or not? ► Are You Committing Career Suicide on LinkedIn? [ Should You Accept a LinkedIn Invitation From a Competitor? [ Which will get you Promoted to CEO: Nasty or Nice? ☼ Where Were the Jobs in August? – Jobs. Trends. Insight. • How Would You Search for these Positions on LinkedIn? • Turn your LinkedIn profile to an infographic resume. Before jobs are placed in the large job search sites, companies usually publish on their job web sites first in order to safe costs. Find below a list of the job web sites of the largest companies in Switzerland. More details at the Handelszeitung.ch. Good place to see the latest on swiss companies and when you prepare for your interview. I am asking myself this question after I have run some surveys. When I asked for the key purpose for being in Linkedin 38% wanted to attract a new job where 37% are there for networking. Link to survey. When I asked the question on where you found your current job – dating back not more than three years: Link to survey. and the rest through other classical channels. 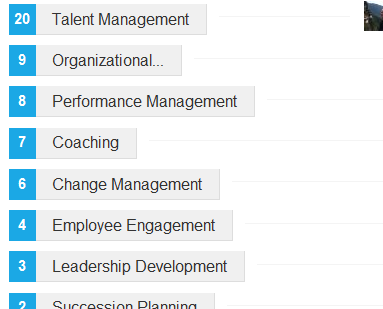 What surprised me the most that none really none had attracted a new job via Linkedin. What could be the reason ? Any success stories on your side that you can share ? I read so much about strategies to find a new job via Linkedin and great advice but it seems the reality still looks different. In my last poll on Linkedin the top priority for the participants was Networking. One important part of networking which is very obvious is to join the right groups. If size matters what are the top 10 largest groups on Linkedin currently ? 1) Job Openings, Job Leads and Job Connections! Job Openings made it into 1st place with 1,029,492 members and no surprise 3,963 job offers up from 4th place in 2010. Currently it has 746,104 members and currently 64 jobs are offered. Marketing follows the Human Resources crowd in third place with 473,859 members and currently 202 jobs are offered. Was about time, wasn’t it. Now this group has 463 345 Members and 130 Jobs. 5.) RecruitingBlogs (up from 9th place!) – Are there now so many jobs to recruit for ? There are a group of 389,976 recruiters on Linkedin! A lot of good friends and helping hands. Currently they have 1,365 compared to 106 jobs in 2010 on offer. There are now more project managers than entrepreneurs and telecom professionals. 365,191 project managers have joined this group and they offer 605 jobs currently. Wow, I never thougth we would have more telecom professionals than entrepreneurs . This group brings together 316,848 people and offers 160 jobs. Becoming the owner of your work is in a 4th place to jobs. It has 301,574members and offers still 227 jobs. Are these jobs for those who had enough of enterpreneurship ? 276 743 Finance Professionals have joined there. If you do not know how to invest your money, hint, hint, hint….. Currently 260 jobs – what a surprise. Learn about the latest research in business on how not do it, joke, joke, joke. 273 942 well educated members with only 31 jobs to offer. And here the executives follow the marketing people. 256 912 US based executives. There are 247 911 digital marketing professionals in this group and 203 jobs on offer. If you are not seeking employment, or wanting to start a new business here in a close six place are the consultants with 235,000members and a 501 jobs. The Job Board (No. 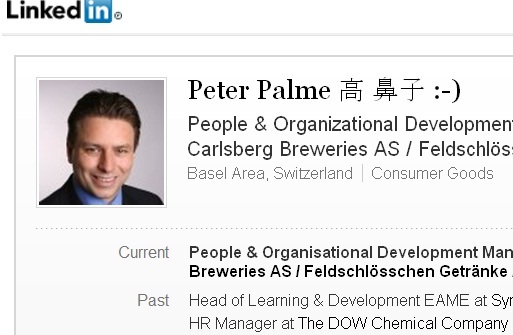 7 in 2010) is not anymore active on Linkedin. The Group has been deleted. Currently it has 258 840 members and currently 107 jobs are offered. Marketing follows the Human Resources crowd in second place with 227 897 members and currently 35 jobs are offered. And here the executives follow the marketing people. 181 929 US based executives with currently 94 jobs. 4.) Job Openings, Job Leads and Job Connections! Job Openings made it into 4th place with 159 757 members and no surprise 461 job offers. Becoming the owner of your work is in a close 5th place to jobs. It has 135 851 members and offers still 32 jobs. Are these jobs for those who had enough of enterpreneurship ? If you are not seeking employment, or wanting to start a new business here in a close six place are the consultants with 119 319 members and a 110 jobs. Another place for job seekers. They have 108 802 members and offer 264 jobs. Wow, I never thougth we would have almost as many telecom professionals as consultants. This group brings together 102 257 people and offers 98 jobs. 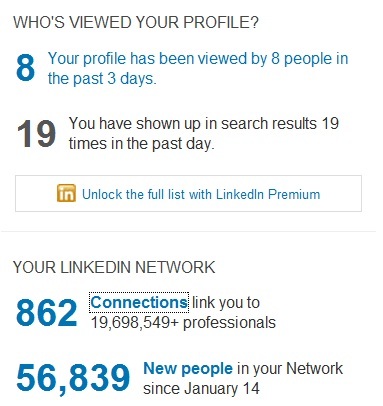 There are a group of 96 299 recruiters on Linkedin! A lot of good friends and helping hands. Currently they have 106 jobs on offer. There are less project managers than telecom professionals. 94 634 project managers have joined this group and they offer 59 jobs currently. Retweet This Page: Often I get asked what are the best practices in creating a compelling Linkedin Profile. My answer is that it depends on the target audience. Are you aiming to get hired or are you aiming to build a large network. Did you ever wanted to know how attractive your profile is compared to others. Here is the opportunity for you to do an anonymous benchmark against other linkedin profiles. Please fill out these 6 questions anonymous survey: How attractive is my Linkedin Profile ?. Here is already a list that I compiled. New: Lindsey Pollak. The Global Spokesperson for Linkedin. She is an author, consultant, speaker and recognized expert on next generation career and workplace trends. Chris Brogan The leading expert on social media and trust. Dan Schawbel The leading expert on personal branding. 2) Olivier Taupin. He is the founder of the largest group in Linkedin: Linkedin HR. 4) Steven Burda has received the most recommendations on Linkedin. Please keep sending interesting profiles to share. He puts great emphasis on the catch line in the title – what is your true intend or mission instead of the job position and second he emphasizes his contribution in his summary – what he can do for the viewer of his profile. “Picture this. You meet someone new. “What do you do?” she asks. As I am a big believer in the wisdom of the crowds I created a rating site for Linkedin Profiles on Google Moderator. Vote on any of the Profiles listed plus submit your own suggestions and spread the word to the crowd. Let’s see who are the role models of the best linkedin profiles. 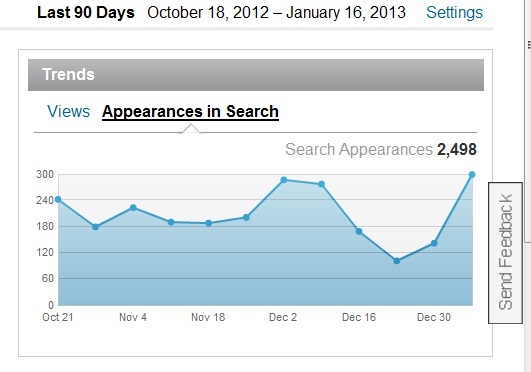 I am looking for the profile with the most calls from headhunters in the last 6 to 12 month. Please leave a comment or submit to the rating site. If you need me as a coach for your profile makeover join me on the Online Time Exchange Network.